South Florida encompasses all of Miami-Dade, Broward and Palm Beach counties, as well as the Florida Keys and the Glades interior. Our faculty and their families live in some of the safest neighborhoods in South Florida. Our Faculty Geography Map provides the ability for you to see some of the areas where our faculty live. FIU values education and our communities offer some of the best schools in the nation regardless of whether you live in Miami-Dade, Broward or Palm Beach counties. Resources for schools in surrounding counties are available below. South Florida houses a plethora of leisure options that cater to a variety of tastes. Places like the Fairchild Tropical Gardens, Jungle Island, Rapids Water Park, Zoo Miami, Flamingo Gardens, Oleta State River Park, the Morikami Japanese Gardens, or the Everglades National Park are excellent parks for you and your family to enjoy. 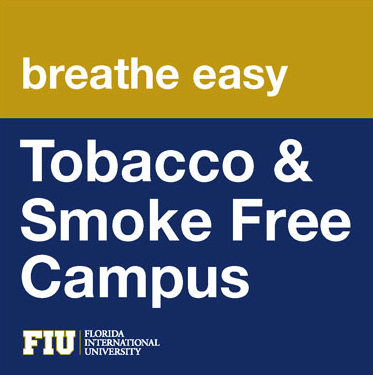 Many recreational activities are offered at a lower cost to faculty and students alike by our own FIU Recreation Centers at MMC and BBC, which in the past have included horse trail rides, sailing lessons, deep-sea fishing, or snorkeling. Along with the traditional Miami Beach lifestyle and beautiful beaches, Miami is a cultural epicenter. You can catch some of the hottest acts at the BB&T Center, the Seminole Hard Rock, or the American Airlines Arena. For a mixture of music and education, attend a performance at the New World Symphony or Seraphic Fire. If you are interested in the performing arts, the Adrienne Arsht Center, the Broward Center for the Performing Arts, the Actors Playhouse at the Miracle Theater , or FIU’s own Herbert and Nicole Wertheim Performing Arts Center are a few of the best places to experience Miami’s haven of artistic expression. Some of the best museums in South Florida are actually part of FIU like the Frost Art Museum, which is located on the Modesto A. Maidique Campus. The Wolfsonian-FIU and the Jewish Museum of Florida-FIU are both located on South Beach. Some other South Florida museums that are frequently visited include the Vizcaya, Museum of Contemporary Art and the Perez Art Museum Miami . Every year FIU has increasingly participated in Art Basel Miami, a four-day convention dedicated to all things art and is the sister event of the original Art Basel, which takes place in Switzerland every year. Through our Chaplin School of Hospitality and Tourism Management, we help host the South Beach Wine and Food Festival, which is one of the biggest events in Miami and South Florida. Gourmets will be pleased with the Miami Spice event which every year offers affordable three-course menus at high-end restaurants in the months of August and September. South Florida is also home to some of the biggest championship-winning sports teams like the Miami Heat, Miami Marlins, Miami Dolphins, Florida Panthers, Miami FC, and the Fort Lauderdale Strikers. If you’d like more info about South Florida, visit the Greater Miami Chamber of Commerce, Miami-Dade County, Broward County, and the Fort Lauderdale Chamber of Commerce. Of special interest to you may be the latter organization’s page on Relocating to South Florida.